Are You Being Served? is to be rebooted with an 'all-star cast'. The sitcom had been rumoured to be in line for a makeover as part of the BBC's landmark comedy season later this year. Now it has been confirmed that the Corporation will return to Grace Brothers with a studio audience recording confirmed for March 5. The BBC says the one-off episode will 'pick up where Jeremy Lloyd and David Croft's much loved comedy left off,' and promises to 'bring some of the nation's all-time favourite sitcom characters including Mrs Slocombe, Captain Peacock, Miss Brahms, and Mr Humphries back to life with an all star cast'. The original sitcom ran for 69 episodes over ten series from 1972 to 1985 on BBC One and made stars of the likes of Mollie Sudden, John Inm and and Wendy Richard. The BBC are also reportedly planning reboots of Porridge, The Good Life, Up Pompeii!, and Keeping Up Appearances as part of the landmark sitcom series, marking 60 years since Hancock's Half Hour first made the transition to TV. 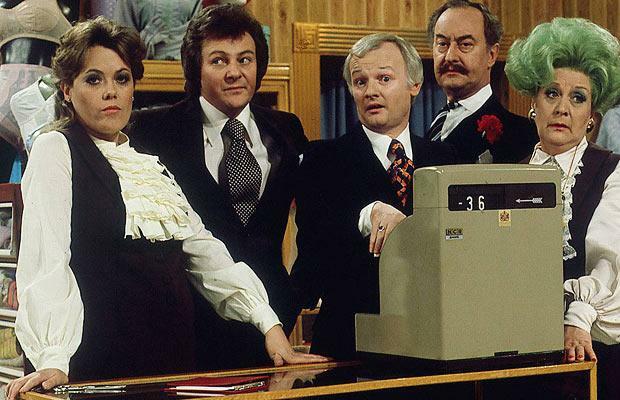 Visit the BBC website for to enter into a draw for free tickets to be in the recording of Are You Being Served?